In our search for novelty in a musical world full of excellent artists, we remain with those who manage to imprint a unique voice on us, or a style in which the same 12 notes are personally articulated, dominating the majority by intensity and conception. 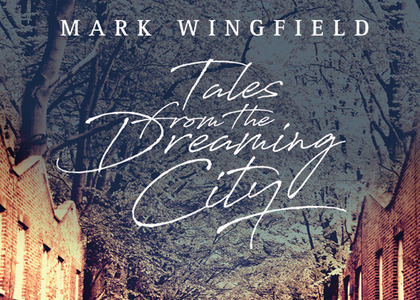 At this point, we must discover Mark Wingfield, a visionary guitarist, a versatile illustrator of sound who uses the language of jazz in an original manner. His adventurous style, with a well-controlled tone and melodic appetite, reminds us of Terje Rypdal or Allan Holdsworth, just as his discography carries us to an up-to-date territory of sound, including many other nuances of the jazz language. After 2015, Wingfield excelled in various forms of improvisation, which resulted in some remarkable albums, but 2018 brought us an album that perfected the style he developed in collaboration with bassist Yaron Stavi and drummer Asaf Sirkis. "Tales from the Dreaming City" is the embodiment of perfect "fusion" and unique sound, a collection of modern, dense, but surprisingly accessible pieces. The mystery attracts, while the atmosphere convinces. With a touch of courage, the wonderful guitar transports the listener to previously unexplored places, or at least they can access it more easily because of the beauty and clarity that create the light of this album. Improvisation, lyricism and technique in one wonderful album. If this is the first time you come across Mark Wingfield, this is the best way to get to know your guitarist, composer, bandleader and an inspired creator of a rich musical landscape.